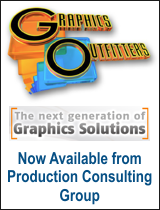 Production Consulting Group, LLC, becomes first certified Newtek Certified Test Centers in Tri-State Region. Wexford, PA – February 25, 2012 – Production Consulting Group, LLC a Pittsburgh- based emerging technologies consulting, video streaming, and media production company, is pleased to announce that as of February 27, 2011, they have entered into an agreement with NewTek to become a Newtek Certified Test Center. "We have been using NewTek products in our video streaming and television production projects for many years, we are very pleased to be selected as on of the first Newtek Certified Test Centers in our region. We feel that our ability to train and now certify Newtek equipment operators is an important part of what we do as a company and we are very pleased that Newtek has recognized this commitment and has offered us this opportunity" says Jeff Waller, President of Production Consulting Group. Since 1995, NewTek has made portable live production and 3D animation systems. Based in San Antonio, they are best known for creating groundbreaking products that are professional, easy to use and cost-effective. Clients include: Turner Sports, MTV, TWiT.TV, ESPN X Games, New York Giants, NBA Development League, Fox News, BBC, NHL, Nickelodeon, CBS Radio, ESPN Radio, Fox Sports, USA TODAY, Department of Homeland Security (DHS), North American Aerospace Defense Command, National Aeronautics and Space Administration (NASA). NewTek products have been used in feature films and television shows, including "Avatar," "Tin Tin," "Repo Men," "Iron Man," "Angels and Demons," "Battle for Terra," "The Dark Knight," "The Fairly Odd Parents," "Tropic Thunder," "Fringe," "CSI: Crime Scene Investigation," "Lost," and more.